See these cute celeb guys in their finest formalwear, and get inspiration for your prom date's look! 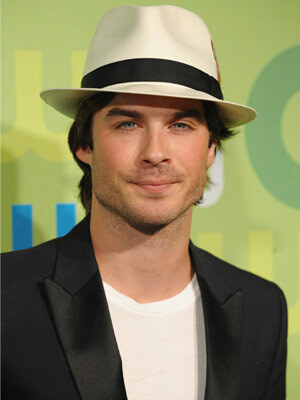 By rocking a fedora that shades his gorgeous eyes, Ian Somerhalder definitely challenges RPattz for the title of Hottest Vampire. 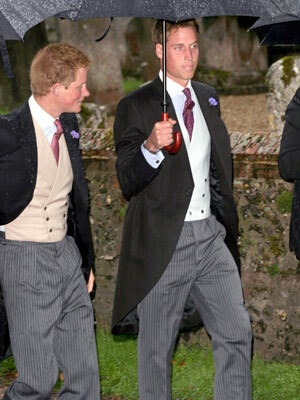 If your guy is a cool cat, recommend he stand out from the crowd by sporting chic headwear for prom. Take a cue from The Vampire Diaries stud Paul Wesley and get your guy to match his jacket lapels to your prom dress — your girlfriends will be jealous they didn't think of that first! Sure, it helps to be British royalty like Princes Harry and William to be able to wear pastel double-breasted vests (and silk ties, and front-pleated pin-striped pants, and jackets with tails), but if your date can properly rock it, you'll definitely feel like a prom queen standing next to him. 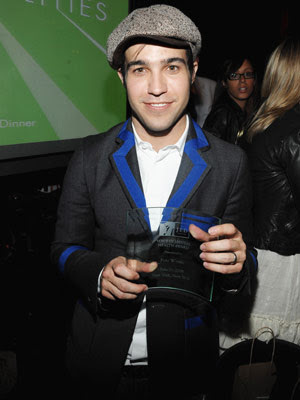 One way to stand out from the crowd (without going too crazy) is to rock a cute newsboy cap and jacket with cool-colored lapels, like Pete Wentz did. Get your date to wear this, then opt for a thrifted vintage dress for yourself and claim the title of quirky-cool prom couple!